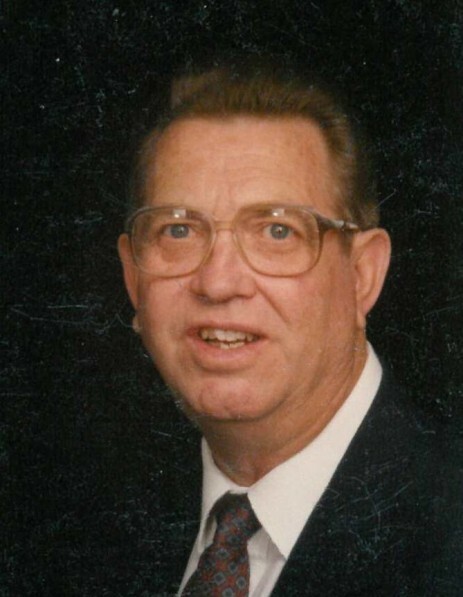 Floyd Anderson Bennett, 87, of Bowers Rd., Thomasville, died Wednesday, February 13, 2019, at High Point Medical Center. Mr. Bennett was born August 5, 1931, in Randolph County, a son to Andrew Anderson & Alma Freeman Bennett. He had been a Randolph County resident all his life before moving to Davidson County in 1987. Mr. Bennett was a member of Green Street Baptist Church. Prior to retiring in 1993, he was employed by Classic Gallery Furniture Co., High Point. Mr. Bennett was preceded in death by his first wife, Minnie Lanier Bennett in 1993; a son, Kenneth F. Bennett in 2002; a granddaughter, Emily Ridge in 1989 and step-grandson, Andy Fuller in 2007; brothers, Archie & Clyde Bennett & sisters, Lecy Forkner, Irene Foust & Alene Damron. Surviving are his wife, Cornelia Trexler Bennett, whom he married in 1994; two daughters: Linda Irene Fuller & husband, Art, of Braselton, GA & Patsy B. Ridge & husband, Clarence (Click), of Crestview, FL; three step-daughters: Katrina Smith & husband, Darrell of Winston-Salem; Joanie Green & husband, David of Clemmons and Sonya Cox of Lexington. Also surviving are one brother: Donald Bennett of Asheboro and three grandsons: Michael & Kevin Leonard and Kent Ridge, as well as several great-grandchildren and step grand & great-grandchildren. Mr. Bennett was known for his quick wit and his gentle, kind and generous spirit, always willing to lend a helping hand to anyone in need. He will be dearly missed by his adoring family who will miss most of all his love and words of wisdom. Funeral services will be conducted at 2:00 PM Friday, February 15, 2019, at Green Street Baptist Church with Rev. Frank Hensley and grandson, Michael Leonard officiating. Burial will follow the service at Randolph Memorial Park Cemetery, Asheboro, officiated by Rev. Ken Reaves. Memorials may be directed to the Building Fund of Green Street Baptist Church, 303 N. Rotary Dr., High Point, NC 27262.